The price shown above inclusive of Free standard printing, Free envelop (white or red), Free seal sticker. •Standard service: Around 5-9 working days after confirmation of the artwork. 1. Selection of wedding cards. 2. Decision of artwork and font type. Requirement of wording: couple name,parents name,venue,date and time,RSVP information,dress code and others. 3. 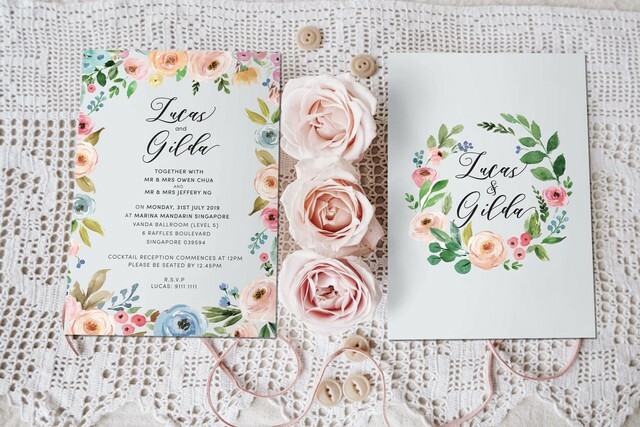 Request for artwork(proof) service of wedding cards. For artwork and layout service please email us the contents to service@wforwedding.com. 4. Confirmation and approval of the artwork. Our staff will send you the artwork for your approval as soon as possible(normally can be finished in the next few hours). 5. Printing after receive your confirmation about the final artwork.